Fine embroidered handmade baby girl dress by Sweet Fairies collection. Fine embroidered girl summer dress made by hand, high quality details. Composition: 100% cotton, very light and comfortable! 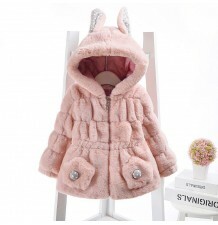 Size M (80cm): length - 41cm, bust - 53cm, recommended for baby 1-2 years. 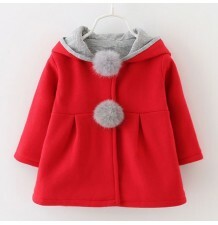 Size L (90cm): length - 44cm, bust - 57cm, recommended for baby 2-3 years. 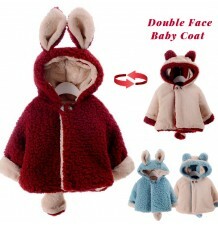 Double face baby coat with tail and ears, very soft, confortable and absolutely original. Elegant girl red coat, great as christmas gift. 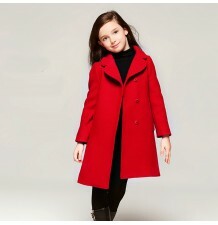 Girl red coat with removable padded gilet. 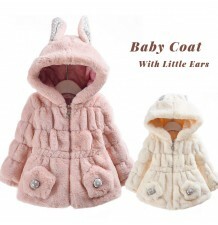 Delicious pink baby coat with hood with ears, very soft, confortable and absolutely original. 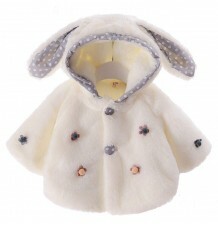 White baby coat with polka dot tail and ears, very soft, confortable and absolutely original. 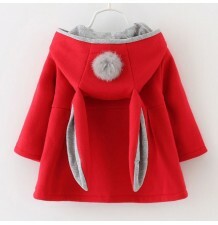 Red baby girl hooded coat. Very soft zebra jumpsuit for babies, perfect for carnival too. 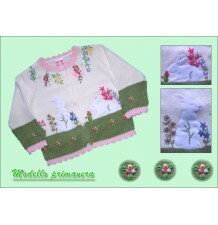 Embroidered cotton cardigan for little girl, suitable for spring and autumn. Very soft little bear jumpsuit for babies made of fleece, perfect for carnival too. Beautiful baby girl short sleeve summer dress "little swan", available in 2 colours.